Go read E-F-V & Friends! All of our buttons are made from Corozo. It is a 100% natural product, made out of nuts from the Tagua palm. Corozo buttons are known for durability, strength and eco friendliness. We choose Corozo buttons for all of these reasons, but also for the robust and nice feel to the hand when buttoning up a coat, a pair of pants or a vest. 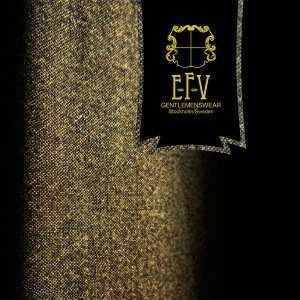 We mainly use fabrics woven especially for E-F-V. Custom fabrics made from high quality raw materials. 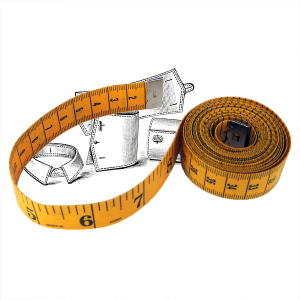 We strive to only use natural materials, such as wool, cotton, linen, cashmere et c. for all purposes. All materials are made to fill a vital function, whether it is to keep you warm, dry or cool. 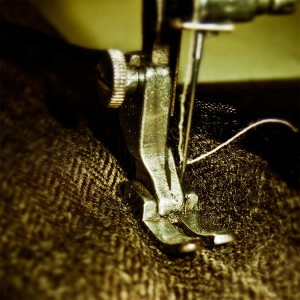 We produce our clothes in collaboration with a small number of tailors experienced through generations of textile work. We take pride in our work and are always looking for ways to improve quality and ways to make production more sustainable. We make sure all the people involved with E-F-V are treated respectfully and receive proper wages and working conditions. Design is essential to E-F-V. All garments are designed to have a purpose beyond mere aesthetics, and to be used frequently. The design can be characterised as stylish, practical and clean cut Swedish. E-F-V are your go to clothes no matter what your daily schedule looks like. Dress up by wearing a 3 piece, or dress casually by just wearing an E-F-V jacket with a pair of jeans.